Let freedom ring! 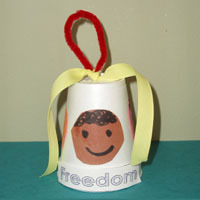 Celebrate Martin Luther King Day with this freedom bell craft. Made from just a few items, it’s simple enough for the little ones to get involved in, too.